Technopoles - planned centres for the promotion for high- technology industry - have become a key feature of national economic development worldwide. Created out of a technological revolution, the formation of the global economy and the emergence of a new form of economic production and management, they constitute the mines and foundries of the information age, redefining the conditions and processes of local and regional development. This book is the first systematic survey of technopoles in all manifestations: science parks, science cities, national technopoles and technobelt programmes. 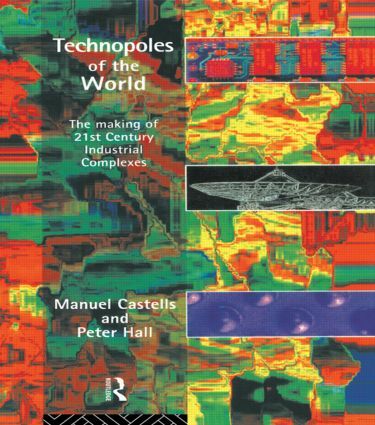 Detailed case studies, ranging from the Silicon Valley to Siberia and from the M4 Corridor to Taiwan, relate how global technopoles have developed, what each is striving to achieve and how well it is succeeding. Technopoles of the World distills the lessons learnt from the successes and failures, embracing a host of disparate concepts and a few myths, and offering guidelines for national, regional and local planners and developers worldwide.